Welcome to the images section of our media centre. Here you will find images to use in association with articles mentioning Jacob's Creek. Hover over the thumbnail and click the magnifying glass to enlarge an image or click the download icon to download. Image of Jacob’s Creek Shiraz Cabernet. 300 dpi CMYK (A6) jpeg format. (C) Copyright conditions apply only to be used in conjunction with Jacob’s Creek. Bernard Hickin - Image of Jacob’s Creek Chief Winemaker Bernard Hickin assessing a white wine. 300 dpi CMYK (A6) jpeg format. Barossa Vineyard - Image of Jacob’s Creek Barossa vineyard rows over rolling hills. 300 dpi CMYK (A6) jpeg format. Barossa Vineyard - Image of Jacob’s Creek Barossa Valley vineyard with ranges in distance. 300 dpi CMYK (A6) jpeg format. Barossa Vineyard - Image of Jacob’s Creek Barossa Vineyard with large gum tree in foreground. 300 dpi CMYK (A6) jpeg format. Jacob's Creek Visitor Centre - Image of Jacob’s Creek Visitor Centre taken at dusk. 300 dpi CMYK (A6) jpeg format. Jacob's Creek - Image of Jacob’s Creek with creek pebbles in foreground. 300 dpi CMYK (A6) jpeg format. Jacob's Creek - Image of Jacob’s Creek in full flow. 300 dpi CMYK (A6) jpeg format. Australia - Kangaroo - Image of red kangaroo jumping through classic Australian landscape. 300 dpi CMYK (A6) jpeg format. Australia - Sydney Opera House - Image of Sydney Opera house and harbour. 300 dpi CMYK (A6) jpeg format. Barrels - Image of Jacob’s Creek oak barrels in maturation storage. 300 dpi CMYK (A6) jpeg format. Steingarten - Image of Jacob’s Creek Steingarten Barossa Riesling bottle. 300 dpi CMYK (A6) jpeg format. Reserve Barossa Shiraz - Image of Jacob’s Creek Reserve Barossa Shiraz bottle. 300 dpi CMYK (A6) jpeg format. Heritage wines - Image of Jacob’s Creek Heritage Collection wine bottles on diagonal. 300 dpi CMYK (A6) jpeg format. 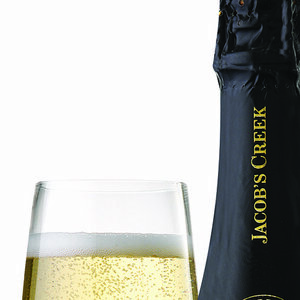 Sparkling wine and glass - Image of Jacob’s Creek Sparkling Chardonnay Pinot Noir bottle and glass, spritzed. 300 dpi CMYK (A6) jpeg format. Classic Shiraz with cheese - Image of Jacob’s Creek Classic Shiraz bottle and glass with cheese board. 300 dpi CMYK (A6) jpeg format. Reserve Chardonnay - Image of Jacob’s Creek Reserve Adelaide Hills Chardonnay bottle. 300 dpi CMYK (A4) jpeg format. Reserve Barossa Riesling - Image of Jacob’s Creek Reserve Barossa Riesling bottle and glass with fresh oysters. 300 dpi CMYK (A6) jpeg format. 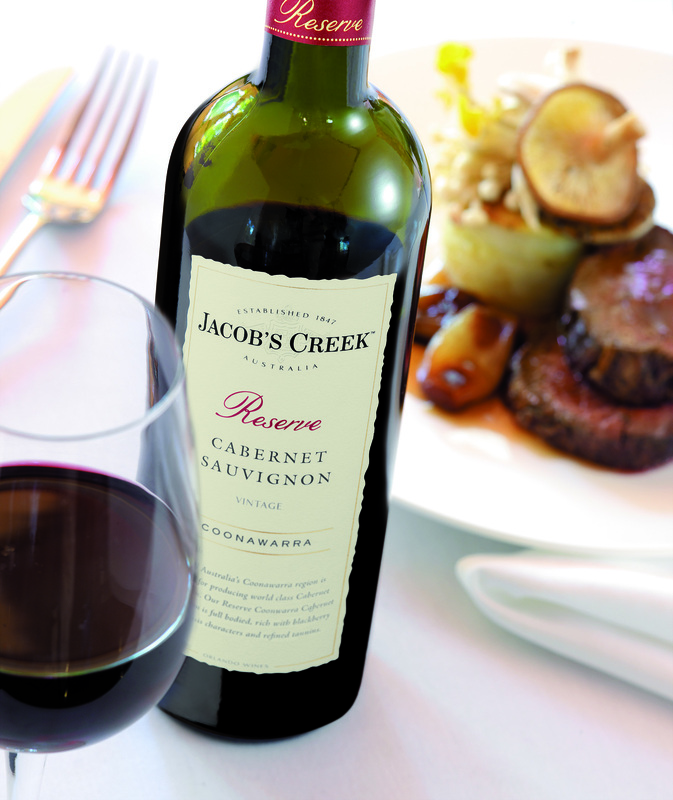 Image of Jacob’s Creek Reserve Coonawarra Cabernet Sauvignon bottle and glass with beef dish. 300 dpi CMYK (A6) jpeg format. Jacob's Creek Classic Range - Image of a selection of Jacob’s Creek Classic wines. 300 dpi CMYK (A6) jpeg format. Semillon Chardonnay - Image of a Jacob’s Creek Semillon Chardonnay. 300 dpi CMYK (A6) jpeg format.